The main feature is Miss Bluebeard (1925), a comedy directed by Frank Tuttle, starring Bebe Daniel and based on the play, Little Miss Bluebeard, by Avery Hopwood. 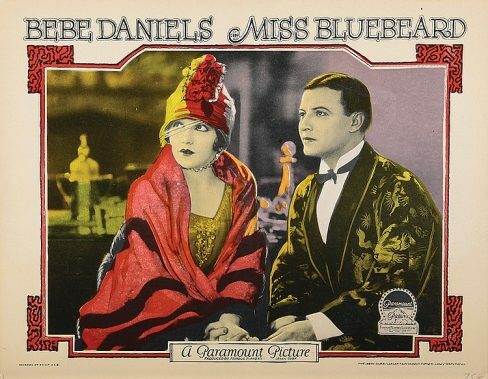 Daniels is a modern female Bluebeard who marries two men at the same time! The film also stars Robert Frazer and Raymond Griffith. This screening will be from a 16mm print, and will be introduced by Kevin Brownlow.